Staten Island University Hospital is Staten Island’s major teaching hospital and one of the New York metropolitan area’s largest. The hospital, which has reached its 155-year milestone, is poised for future success as it continues to earn public and peer recognition. True to its founding mission of “Providing the community with the highest quality of care,” Staten Island University Hospital is now a two-campus, 714-bed, certified medical center. Staten Island’s largest employer with 7,000 positions, our medical/dental staff comprises more than 1,000 physicians and dentists who practice in over 40 medical, surgical, and dental specialties and subspecialties and in a growing number of centers of care. As a member of Northwell Health, our hospital boasts numerous academic and clinical affiliations and accreditations. There’s so much to consider when it comes to your family’s health care. You look for innovative, state-of-the-art medical techniques performed by renowned physicians, but you also want personalized, compassionate care and the assurance that your well-being truly matters. And you don’t want to travel far to get it. As part of the Northwell Health network of providers, Staten Island University Hospital has access to the wealth of resources and services of New York's largest health system, while remaining firmly entrenched and engaged in our local community. Our team takes great pride in the work we do to teach and train as we seek out new and better ways to prevent and treat disease. And we never forget that our first commitment is to you—the individuals whose lives we touch each day. Staten Island University Hospital is dedicated to providing our community with the best possible quality care through continuous quality improvement efforts. We consider employees to be our greatest resource. We continually examine the way we do our work in order to make improvements and prevent errors. Exceeding the needs and expectations of our customers is the basis for all that we do. We are a team of competent and caring professionals. As members of this team, we believe that our patients and their families are our reasons for being here. Staten Island University Hospital has a longstanding reputation for lawful and ethical behavior. This is more than a source of pride for us; it is one of our greatest assets. In order to maintain our leadership in patient care in an increasingly complex healthcare environment, we expect all employees to conduct themselves in accordance with all legal requirements and institutional policies. Serve your needs, meet your expectations as a patient and relieve your concerns and anxieties. We treat our patients, families, and other customers as we would like to be treated, with utmost respect and courtesy, with sensitivity and understanding, and with a pleasant and friendly attitude. We respond quickly to their requests. We provide timely and correct information throughout your stay with us. Improve our work in our constant pursuit of excellence. We are knowledgeable about our job and continue to learn new skills to become more competent in performance. We are proactive in solving problems. We continuously examine our work to make improvements. High-quality care. We seek optimal patient outcomes. We listen and respond to the individual, physical, social, psychological, and spiritual needs of our patients and their families. In 2015, Staten Island University Hospital received its fourth Top Performer award designated by the Joint Commission. In 2014, Staten Island University Hospital was also awarded full accreditation for the next three years by the American College of Surgeons Commission on Cancer. In 2013, we were re-awarded the lead agency contract to manage and oversee the New York State Department of Health (NYSDOH) Cancer Services Program of Staten Island during the 2013-2018 grant periods. Our Cancer Service Program offers comprehensive breast, cervical and colorectal cancer screening, as well as education and diagnostic services to eligible uninsured and underinsured Staten Island residents. The Joint Commission also recognized Staten Island University Hospital in 2013 for exemplary performance in heart attack, heart failure, pneumonia and surgical care. 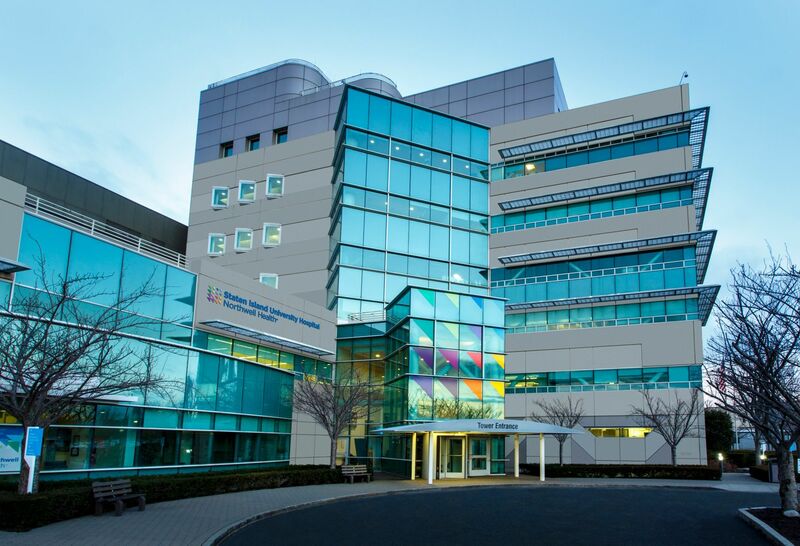 The National Research Corporation, which specializes in healthcare performance measurement and improvement, awarded Staten Island University Hospital with the Consumer Choice Award. We were one of only 15 hospitals to receive this award in New York state. Staten Island University Hospital was named by the American College of Radiology as a Diagnostic Center of Excellence. The hospital overall received Leapfrog Group A Rating for quality of care.